120+ high-end drum hits and FX giving you all the tools you could need to make heavy Trap beats! 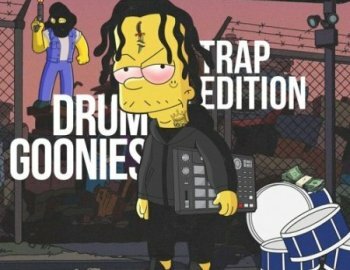 Drum Goonies (Trap Edition)' contains all the necessary ingredients to create some of the hottest drums in today's Trap scene. This Drum Kit cuts straight through the BS, giving you nothing but the highest quality 808s, Claps, Cymbals, HiHats, Kicks, Open Hats, Percussion, Snares and Stabs EQ'ed to perfection by multi-platinum selling producer 2DEEP himself. No filler sounds!